Image Source: Airports Council International. Ninoy Aquino International Airport is ranked 47th. After the successful awarding of the Mactan-Cebu International Airport PPP, it is now the turn of Ninoy Aquino International Airport (NAIA). So far, three local companies have expressed interest in bidding for the Php. 74.6 billion contract to modernize and operate Manila’s NAIA. Metro Pacific Investments Corporation, San Miguel Corporation and Ayala Corporation are eyeing the country’s most coveted airport PPP project. Ramon Ang, president and chief operating officer of SMC, said Wednesday that they planned to join the bid. “We will join all the bidding [of PPPs] to support the government,” Ang said. Rene Almendras, Ayala managing director and CEO of AC Infrastructure Holdings, said the group was studying the project. The NAIA development project was initially planned under the Aquino administration. The National Economic and Development Authority board approved the project only last week. 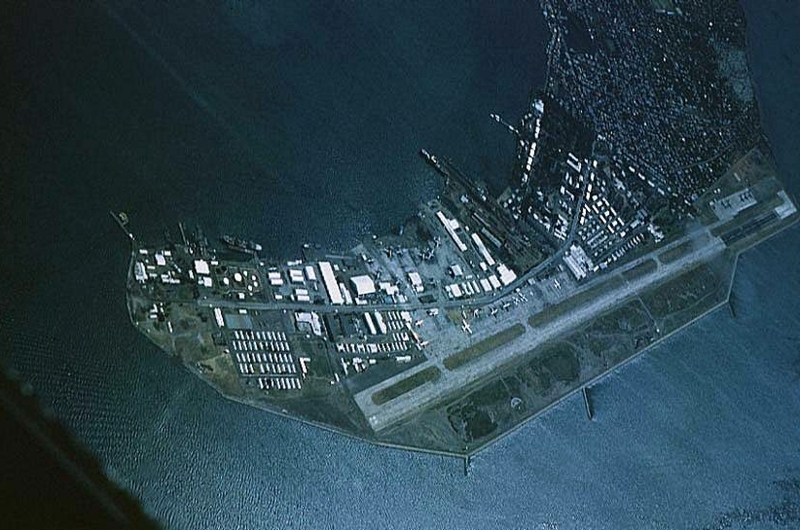 In its initial version under the Aquino administration, the NAIA development project was aimed at transforming the Philippines’ main gateway “into a world-class modern airport facility.” The private partner was also expected to upgrade existing terminals to increase capacity and handle operations and maintenance activities. Apart from the NAIA PPP, the government also plans to pursue a PPP to develop and modernize the Bacolod-Silay, Iloilo, Davao, Laguindingan and New Bohol airports in a deal that has lured San Miguel Corp., Metro Pacific, Aboitiz, JG Summit and Megawide Construction Corporation apart from international players. 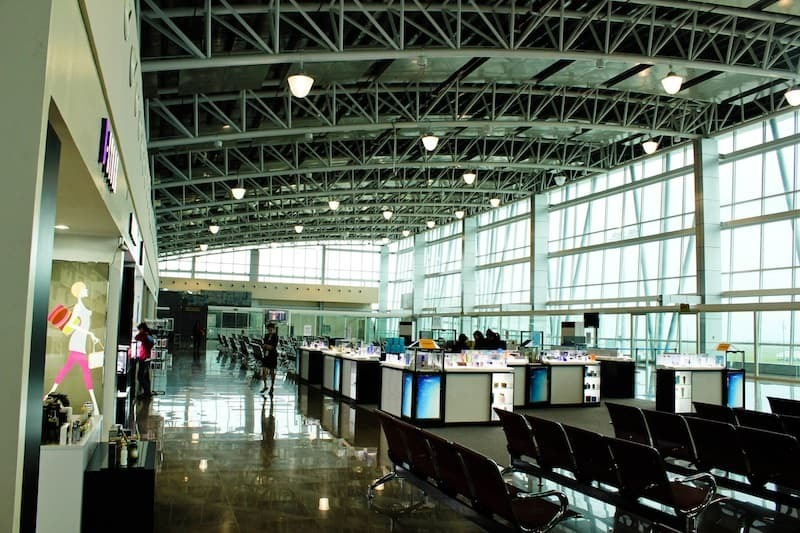 In 2013, most of the country’s largest conglomerates participated in a bidding for the contract to expand and operate the Mactan Cebu International Airport, which was bagged by a consortium between Megawide and India’s GMR Infrastructure. Metro Pacific Investments Corporation expressed interest in bidding for the P74.5-billion contract to operate and maintain Ninoy Aquino International Airport. “Yes, I heard about it…We are discussing. We will look at it. We don’t know the terms yet obviously,” Pangilinan, Metro Pacific chairman, told reporters over the weekend. The National Economic and Development Authority board headed by President Rodrigo Duterte approved last September 14 the NAIA project, which involves awarding a 15-year to 20-year concession to the private sector to improve, operate and maintain the four terminals of NAIA. Transportation Undersecretary for Aviation and Airports Robert Lim said the agency was in the process of finalizing the terms for the bidding of redevelopment, operation and maintenance of NAIA. “By January next year, we will release the advertisement to invite interested companies to bid in the project,” Lim said. Other companies also expressed interest in joining the bidding. “We are very interested in the Naia when that is privatized,” Aboitiz Equity Ventures president and chief executive Erramon Aboitiz said earlier. The private partner of the Naia PPP project will improve, upgrade and enhance the operational efficiencies of all existing terminals covering both landside and airside (except air traffic services) to meet the International Civil Aviation Organization standards and develop the main gateway airport of the Philippines. It is a project of the Transportation Department and Manila International Airport Authority. The NAIA PPP project was one of nine projects approved by NEDA costing Php. 171.14 billion. China Airlines flight CI 702 from MNL to Taipei was canceled due to bird strike. 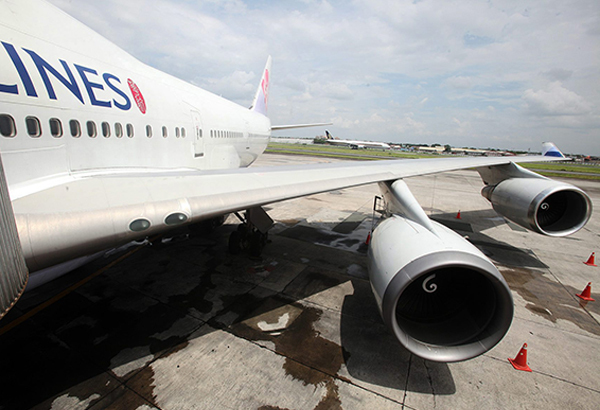 The dead bird was found embedded in the left wing flap of the China Airlines Boeing 747-400 when the aircraft landed at the Ninoy Aquino International Airport in Manila. 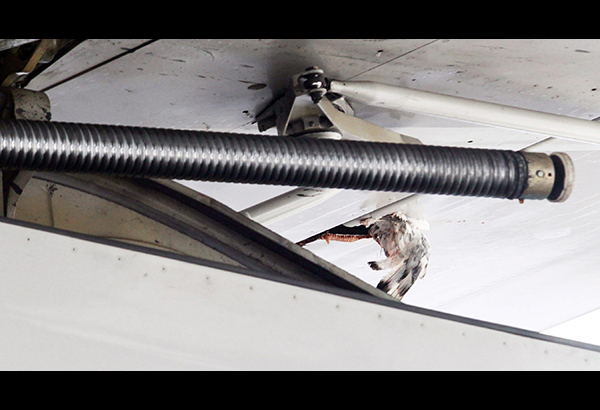 The “wounded bird” was eventually grounded pending investigation and repair of the aircraft. ABOUT P67-million worth of security screening equipment procured by the Office for Transportation Security (OTS) for the Ninoy Aquino International Airport (NAIA) and other airports around the country last year appears to have disappeared. In 2015, the OTS—a Department of Transportation and Communications-attached agency—bought eight full-body scanners for P48 million and eight electromagnetic analyzers (EMA) or bottled liquid scanners for P19.2 million from Singapore. The state of the art equipment were to beef up security at the NAIA terminals and the Mactan-Cebu and Davao international airports but not one of the screening machines was installed. The old full body scanners currently at the NAIA—which are reportedly hardly used—were bought earlier by the Manila International Airport Authority (MIAA) from Germany. In February last year, the OTS bought eight full body scanners at a cost of P6 million each. The OTS claimed the scanners were distributed to airports around the country. DOTC-OTS spokesperson Jonathan Maliwat earlier said the body scanners were delivered to the international airports at Clark, Laoag, Kalibo, Iloilo and Mactan-Cebu. But Kalibo and Mactan-Cebu airport officials said they never received the scanners. The DOTC-OTS had also announced in March last year it would install P19.2-million worth of EMA or bottled liquid scanners at Naia and other airports. Several OTS personnel, however, said they had yet to lay their eyes on the high-tech scanners. “Some of us were trained to use them (EMA). But we haven’t seen any of them here,” an OTS security screening officer at NAIA Terminal 1 told the Inquirer. The Inquirer learned that none of the liquid analyzers were installed at the NAIA terminals, although Maliwat had claimed they were to be set up at the terminals’ checkpoints. The Inquirer tried to question OTS officials about what happened to the multimillion-peso screening equipment but they either denied knowledge of them or refused to answer questions. MANILA International Airport Authority (MIAA) and Cebu Pacific officials led the ground breaking Tuesday of a 2.5-hectare aircraft parking bay at the Ninoy Aquino International Airport (NAIA). The envisioned parking bay is located at NAIA’s South General Aviation Area, formerly Flight Operations Briefing Station. Once completed, the parking bay can accommodate approximately four to six Airbus A320-family aircraft, helping ease up movement at other terminal bays in the airport. MIAA General Manager Jose Angel Honrado and Engr. Ricardo Medalla, NAIA Terminal 3 Manager, graced the groundbreaking ceremony together with the CEB management committee. “We are very grateful to the MIAA and relevant government authorities for allowing us to develop and utilize the South General Aviation Area for aircraft parking. This area supplements the space requirement of our growing fleet and will contribute to the optimization of our ground operations,” CEB President and CEO Lance Gokongwei said. CEB’s 57-strong fleet is comprised of seven Airbus A319, 36 Airbus A320, six Airbus A330, and eight ATR 72-500 aircraft. Between 2016 and 2021, CEB said it expects delivery of two more brand-new Airbus A320, 30 Airbus A321neo, and 16 ATR 72-600 aircraft. CEB flies to over 90 routes and 64 destinations, spanning Asia, Australia, the Middle East, and the United States. Philippine authorities have foiled a bid to hijack a Saudi Arabian Airlines plane at Manila’s Ninoy Aquino International Airport. According to Manila Bulletin, the authorities thwarted the plan and seized secret documents that confirm the plot. Apparently, 10 conspirators (Iranian Revolutionary Guards) left Iran on separate flights and arrived in several South East Asian countries via Turkey. The hijack plot is to be executed in Indonesia, Malaysia and the Philippines. As a precaution, the Saudi Embassy in MNL asked airport authorities to install screening devices and tighten security procedures for passengers traveling on Saudia (Saudi Arabian Airlines). A spokesman for Saudia said that the company gives top priority to aircraft security and are also working with other agencies. “We are in constant contact with all stakeholders to ensure the safety of aircraft and its passengers. Security is an international responsibility.” he added. SPEAKING for the first time on the infamous bullet-planting controversy at the Ninoy Aquino International Airport (Naia), President Aquino said he doubted an organized “tanim-bala” extortion scheme existed. And just like his Transportation Secretary Joseph Abaya, who earlier drew widespread condemnation for dismissing the questionable arrest of passengers as merely a small percentage of the total number of air travelers, Mr. Aquino likewise downplayed the controversy by citing similar statistics. “How many people pass through the NAIA per year? The figure is 34 million. How many of those were involved in a bullet case? What they reported out of the 34 million is 1,200 incidents,” the President said in a press conference Sunday night in Kuala Lumpur where he attended the Association of Southeast Asian Nations summit. “Medyo ang liit naman yata (That seems a little small),” he told reporters. He said he was told of three passengers who complained that airport personnel had tried to extort money from them to drop illegal possession of ammunition charges so they could board their flight. One of the three eventually admitted the bullet found in his bag was his, Mr. Aquino said. “If the report that three out of three million is true, how can we say there is an epidemic—that there is a high probability you will get into trouble or that you can say there is a chance you will fall victim to the racket?” the President said. He said he felt bad for the innocent airport security scanners who were doing their jobs and had actually intercepted firearms and ammunition in other incidents at the airport. “I have to balance it. In the end [we need] proof. Is there proof that will confirm or deny the tanim-bala scam?” the President said. But he said he also felt bad for the passengers. “So I am not saying there is no such [scam]. That is what should come out in the investigation. But those are the initial statistics,” he said. He then accused the media of sensationalizing the news on the tanim-bala cases. “Like out of 10 (people) who will go to the airport, how many will be victimized? For every 10—two, three? That is not what happened. It was sensationalized and there were those who benefited to sensationalize it,” he said. “Those who thought of this, we will include them in the investigation,” he added. “There is no such thing as tanim-bala, there is only extortion,” a source from the Aviation Security Group (Avsegroup) told the Inquirer. “It is just not possible for a security screener to carry bullets in his pocket and plant them in passengers’ baggage. Sleight of hand is out of the question. Nobody’s that fast or that bold,” he said, adding that the Avsegroup had not found proof of tanim-bala. A review of closed circuit TV footage of the security checkpoints showed no evidence of the scheme, he said. The source, who sought anonymity for lack of authority to speak on the matter, said the surge in supposed bullet interceptions was due to a reward system put in place by the Office for Transportation Security (OTS), an attached agency of the Department of Transportation and Communications. He also pointed out that in many of the cases, the passengers admitted carrying the bullets either as souvenirs, mementos or talismans. “Unscrupulous OTS personnel jump at this chance and extort cash from these passengers who do not want to be inconvenienced by a trip to the police station and risk missing their flights,” the source explained. OTS Deputy Administrator Robert Villanueva said the agency did set up a system of citation for security screening officers aimed at improving their efficiency and boosting their morale. “Awardees are given certificates of commendation and cash,” he said. Justice Secretary Alfredo Benjamin Caguioa, meanwhile, has agreed to extend by 15 days the deadline given to the National Bureau of Investigation task force investigating the tanim-bala incidents at the Naia.